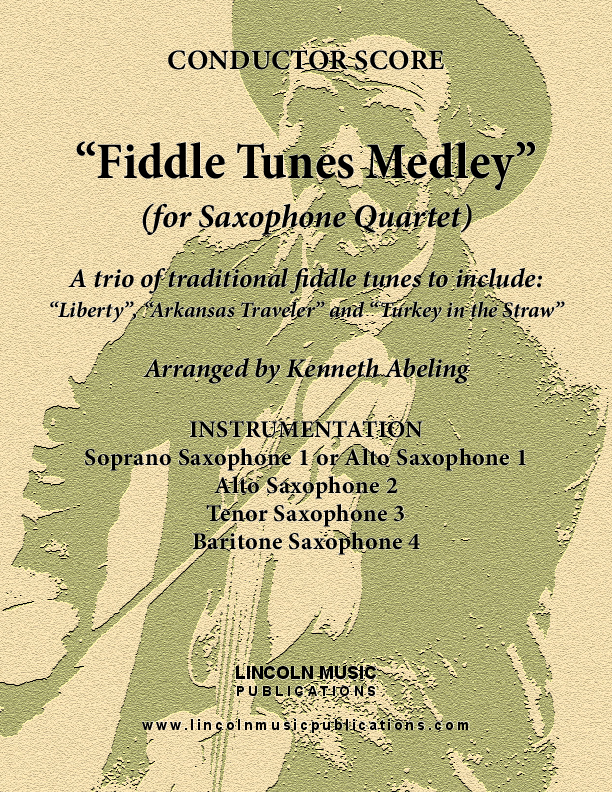 Fiddle Tunes, Square Dance, Hoedown Medley or whatever you care to call it, here for Saxophone Quartet, is a medley of three Bluegrass standards. Included are “Liberty”, “Arkansas Traveler” and “Turkey in the Straw”. This arrangement makes a great novelty or encore piece in some situations. It passes the original melodies and variations equally amongst all members of the Quintet and while being challenging, is equally as fun to play!